Full Action toe delivers the industry's strongest coupling strength (boot-to-binding interface) for maximum power transmission, precision, and control. Featuring the longest elastic travel on the market, the SPX also provides superior shock absorption, reducing unwanted pre-release for dependable, trustworthy alpine performance. The SPX heelpiece combined with LOOK's reinforced Full Action toe delivers the industry's strongest coupling strength (boot-to-binding interface) for maximum power transmission, precision, and control. 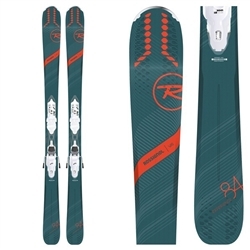 Versatile and comfortable ski binding with the highest DIN range in the Pivot line.